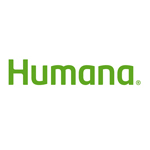 LOUISVILLE, Ky.--(BUSINESS WIRE)--Humana Inc. (NYSE: HUM) will release its financial results for the third quarter 2013 (3Q13) on Wednesday, November 6, 2013 at 6:00 a.m. eastern time. The company will host a conference call, as well as a virtual slide presentation at 9:00 a.m. eastern time that same morning to discuss its financial results for the quarter and earnings guidance for 2013 and 2014. The live virtual presentation (audio with slides) of the 3Q13 earnings call may be accessed via Humana’s Investor Relations page at www.humana.com. The company suggests web participants sign on approximately 15 minutes in advance of the call. The company also suggests web participants visit the site well in advance of the call to run a system test and to download any free software needed to view the presentation. All parties interested in the audio only portion of the call are invited to dial 888-625-7430. No password is required. The company suggests participants dial in at least ten minutes in advance of the call. For those unable to participate in the live event, the virtual presentation archive will be available in the Presentations section of the Investor Relations page at www.humana.com, approximately two hours following the live webcast. Telephone replays will be available from 12:00 p.m. eastern time on November 6, 2013 until midnight eastern time on November 9, 2013 and can be accessed by dialing 855-859-2056 and providing the conference ID # 14885162. The company’s 3Q13 earnings news release may include financial measures that are not in accordance with Generally Accepted Accounting Principles (“GAAP”). If so, a reconciliation of non-GAAP financial measures to financial results under GAAP, as well as management’s reasons for including non-GAAP financial measures, will be included in the company’s 3Q13 earnings news release, a copy of which will be available on the Investor Relations page of www.humana.com on November 6, 2013.